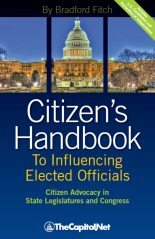 Subcommittee Reported Version / Committee Print: Many measures considered by a full committee have already received subcommittee action. If a subcommittee reports its version of a text to the full committee, the product is often printed and referred to as a committee print. The committee print can then be used as the markup vehicle. 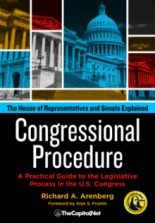 An alternative is for a committee or subcommittee chair to offer the subcommittee-reported version as an amendment in the nature of a substitute for the measure initially used as the markup vehicle. A third approach is for the subcommittee chair to introduce a new measure reflecting the subcommittee’s changes to the earlier measure. This new measure could then be referred to the committee and used as the markup vehicle. Recommendation by committee (or subcommittee) chair of the measure to be considered in a markup, usually drafted as a bill. 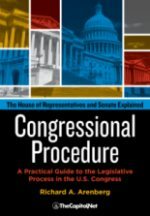 This option allows the committee to use as a vehicle a text that incorporates both changes made in subcommittee markup and additional changes negotiated afterward, yet before full committee markup. The product of these negotiations is incorporated into a committee print, often referred to as a staff draft or chairman’s mark. Many measures considered by a full committee have already received subcommittee action. 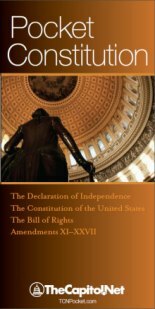 If a subcommittee reports its version of a text to the full committee, the product is often printed and referred to as a committee print. The committee print can then be used as the markup vehicle. 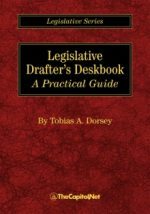 The rules of each standing committee may be published as a committee print, and drafts of bills or committee reports may be produced as committee prints. The Joint Committee on Taxation estimates the revenue effects of legislation changing tax expenditures, and also publishes five-year projections of these provisions as an annual committee print. 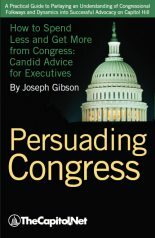 At the end of each presidential election year, the Senate Committee on Homeland Security and Governmental Affairs and the House Committee on Oversight and Government Reform alternate in publishing a book-length committee print of politically appointed positions entitled Policy and Supporting Positions, more popularly known as the “Plum Book,” named for its serendipitous cover color the first time it was published.